Defence Minister Zoran Djordjevic visited at the Military Medical Academy Sergeant Major MN, a member of 4th Army Brigade who was seriously injured in a traffic accident near Vladicin Han. 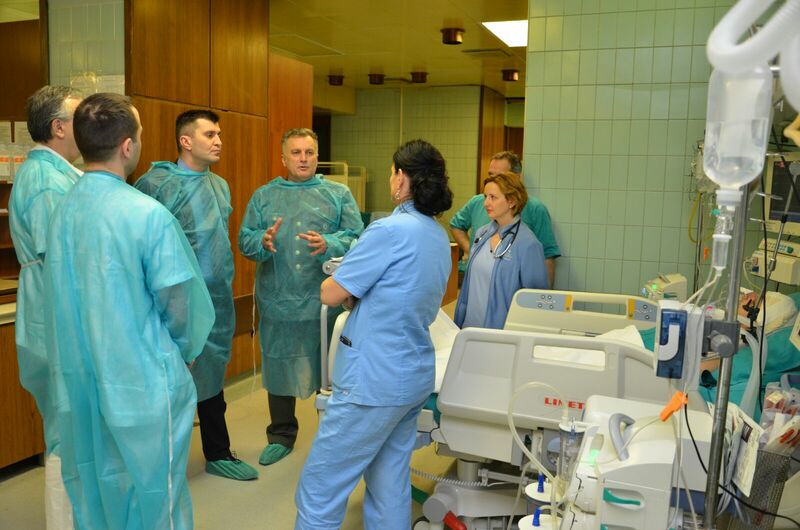 MMA Acting Head Colonel Prof. Dr. Miroslav Vukosavljevic and medical personnel on duty informed Minister Djordjevic about the medical condition of the SAF member and that all necessary measures were taken. Sergeant MN is admitted to the Intensive Care Unit and he is now in a stable condition and recovering well.